Names… names are important things in the blogosphere. Your name is the thing that will help you get recognised – help you get noticed among the thousands of other academic blogs out there. The best blog names are the ones that are interesting, memorable, and maybe even a little fun. They also tell you something about what the blog is about, without the need to even visit it. 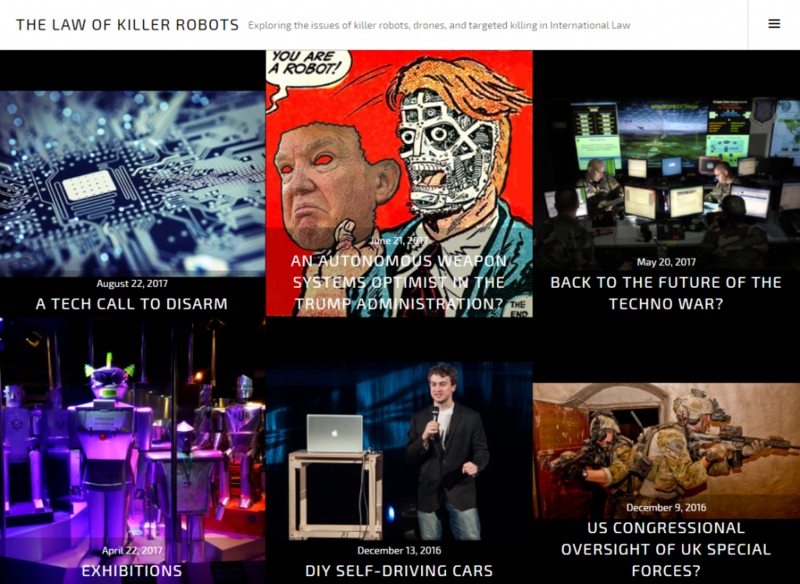 Some of my favourite blog-names include ‘The Law of Killer Robots’ (Josh Hughes), ‘A Nuclear Notebook’ (Emily Gibbs), and most recently ‘The Queer Frontier’ (Danielle Girard). But of course this isn’t the only approach you can take to blogging. Some authors will decide to take another approach and instead market themselves first, over their ‘product’. Though I wouldn’t describe this website as a traditional blog, MJRyder.net is a fine example. In this case, I am selling ‘me’ and what I do, though at the same time I am also sacrificing something of the unique and memorable nature of some of the other blogs I’ve described above. What are you ‘selling’, and why? What outcomes do you want to achieve? Take this blog for example. When I set up this website in 2007-8, I wanted to create an online portfolio for my writing work. At the time, I didn’t have any aspirations to be blogging on a particular subject, so instead concentrated my blogs on my life as a student, and my (many) attempts to get published. Over the years the blog has grown and matured, and has changed its theme many times to fit my particular needs. While this works in the case of MJRyder.net, it wouldn’t make sense for The Law of Killer Robots to suddenly start writing about marketing or English Literature – in the case of Josh’s blog, the name itself is so tied to the topic that when the content changes, the name becomes obsolete. Once you’ve decided between the person or subject-based approach, the next thing is to do a little bit of research. Have a look online for other similar blogs and see what approaches they take. Look at what works, and what doesn’t work. Also look at how the blog is marketed, and what steps the author(s) take to promote the blog online. How recognisable is the blog? What does it do that makes it ‘different’ to other academic blogs? Is it a successful blog? If so, why? And finally, before you rush into setting up your blog, I strongly recommend you do a quick search for blogs in the same field as your own, and look out for blogs with similar names. Just because your name is ‘cool’ and ‘available’ doesn’t mean it’s appropriate… at least yet. I once worked for a client who came up with a new business name and invested a lot of money in branding and a new website, only to find that their name was incredibly similar to an American ‘hook-up’ site. The URL was so similar many clients ended up at the wrong web address. Not the sort of thing you want your clients accidentally stumbling across! On a related note, if your URL or even your group name is a neologism, or maybe an abbreviation, make sure you check out the meaning in urban dictionary. You may think the name is trendy and cool, but chances are someone somewhere has probably used it in a whole different context. Don’t make that mistake!